Ganash Panday, Nepal’s award-winning journalist and documentary filmmaker, who has made history in Nepal through to date winning 15 international awards around the world, has been appointed UKNFS in Nepal Coordinator. 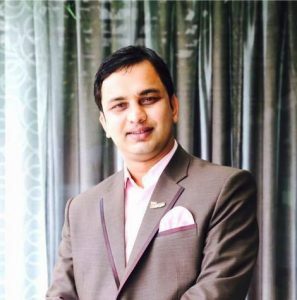 We are delighted that Ganesh ji has been so pleased to take up the invitation to undertake this highly important post, as in the months ahead various UKNFS initiatives are established and developed in Nepal. 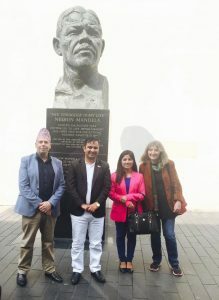 ‘Mr Panday’s values in support of fairness, human rights, and inclusion, his great experience, expertise and renown bring so much to the vision and perspectives that characterise the UKNFS as it begins to develop in Nepal in the second half of 2017. Through the post the UKNFS has in Mr Panday an exemplary ambassador for the currently developing UKNFS in Nepal, whose initiatives are informed by inclusive values, providing Nepali solutions to Nepal’s needs and which, it will be seen, develop and profile the nation and people’s great strengths and still under-realised resources. The introduction to Mr Panday effected earlier this year by UKNFS trustee/director, the internationally renowned landscape photographer James Lamb (also of the Little Sherpa Foundation), was enabled through the event in the UK Parliament initiated by James in conjunction with Mr Pashupati Bhandari ji (Nepal Tourism Board UK) that was hosted by Stephin Gethins MP, and facilitated by the UKNFS.